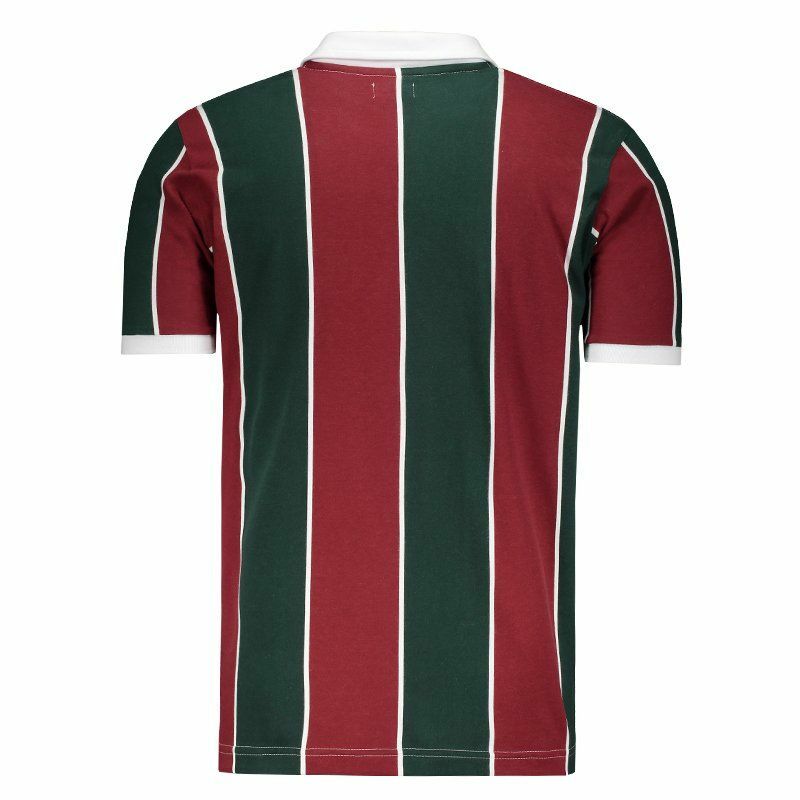 Produced by Retrômania, the Fluminense shirt, 1995 model, is the right choise for fanatical fans to use in games and day to day. The piece is made of pure cotton fibers, offering maximum comfort. More info. 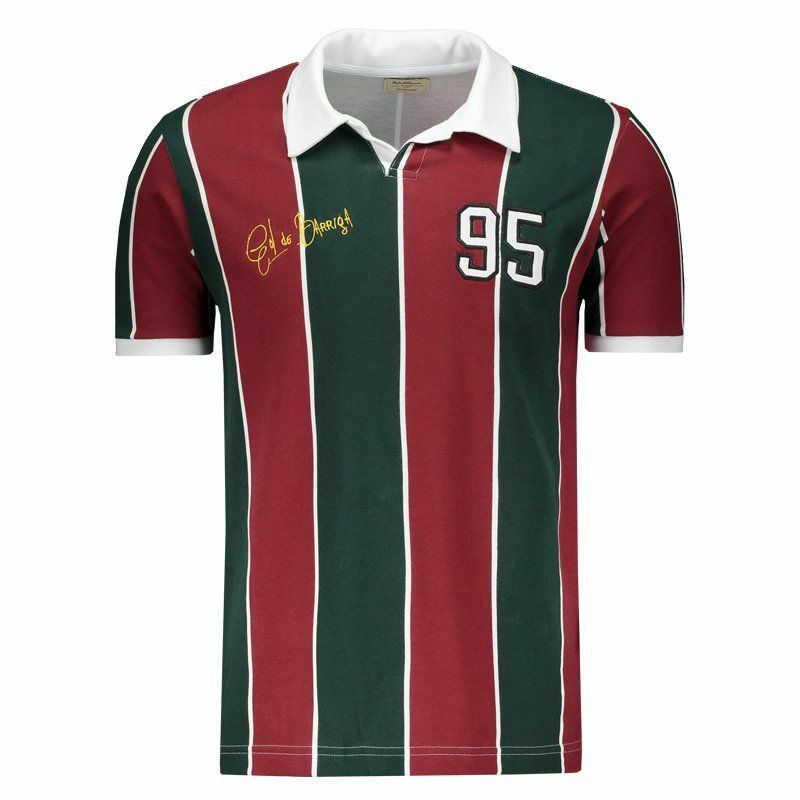 Produced by Retrômania, the Fluminense shirt, 1995 model, is the right choise for fanatical fans to use in games and day to day. The piece is made of pure cotton fibers, offering maximum comfort. 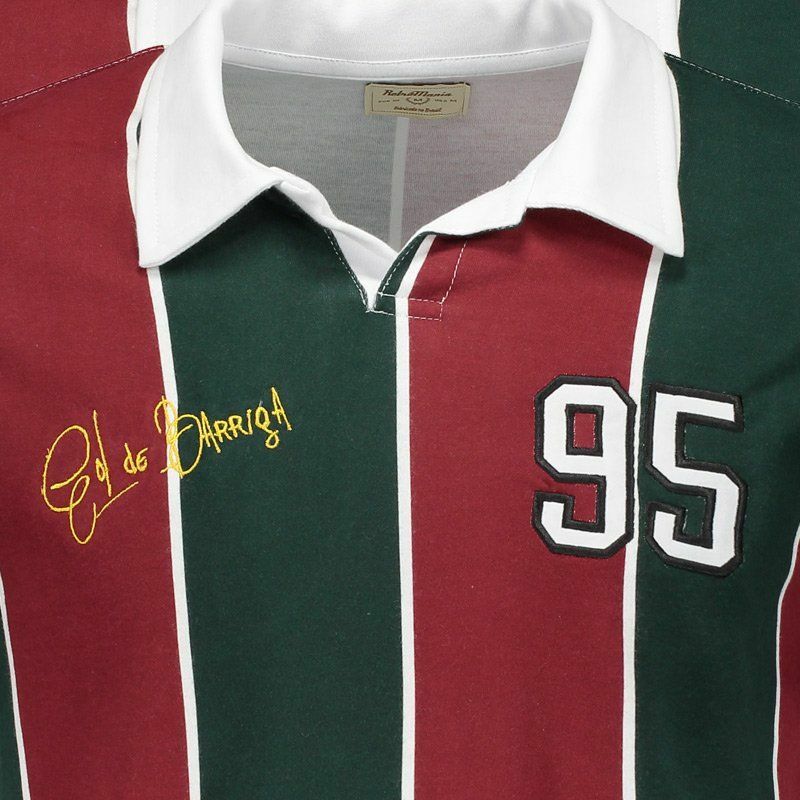 Its design features the traditional striped in the colors of the club, grená, green and white, besides the number 95 and the inscription "Gol de Barriga", in reference to the decisive move that gave the title of Carioca Champion of 1995 to the Flu, in classic end against rival Flamengo. 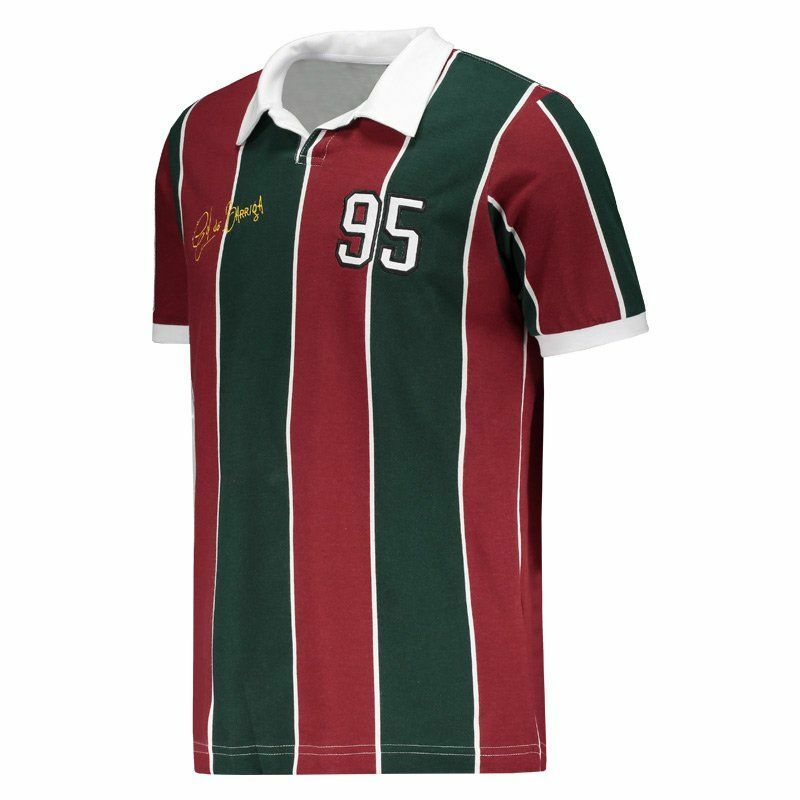 In addition, the polo collar has an opening and, finally, the short sleeves have a ribbed cuff finish and complement the details.